Ah, feels good to be back finally. Enjoyed being ripped off and scammed in NYC over NYE and work has caught me up again. 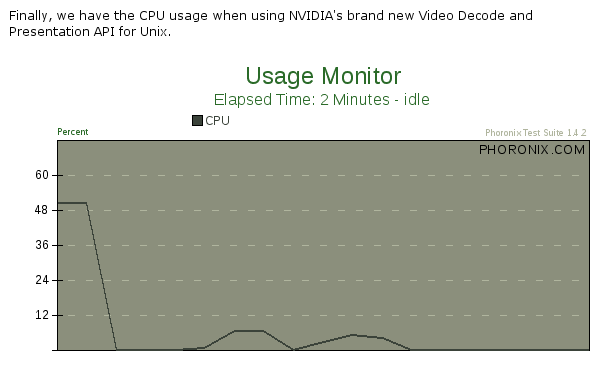 In other news, you might have heard about NVIDIA’s VDPAU (Video Decode and Presentation API for Unix) which literally offloads Video decoding and processing to the graphics processor on Unix systems. They introduced it with the 180.06 driver series which you can download at their official site. Apparently frameworks like ffmpeg/xine and players like mplayer or vlc have or plan to pickup support for it despite it will take a few months to get there. Unfortunately, my framework of choice which appears to suit best for it, GStreamer (congrats for recent move from cvs to git), has no such efforts yet (and can’t directly profit on an ffmpeg implementation). Back-end driver files. These files are located in the standard system (possibly X11-specific) library path. Interesting… Too bad ATI and Intel both plan to go with their own implementations of Video acceleration APIs. Are we going to see a happy end for Video acceleration on Unix?